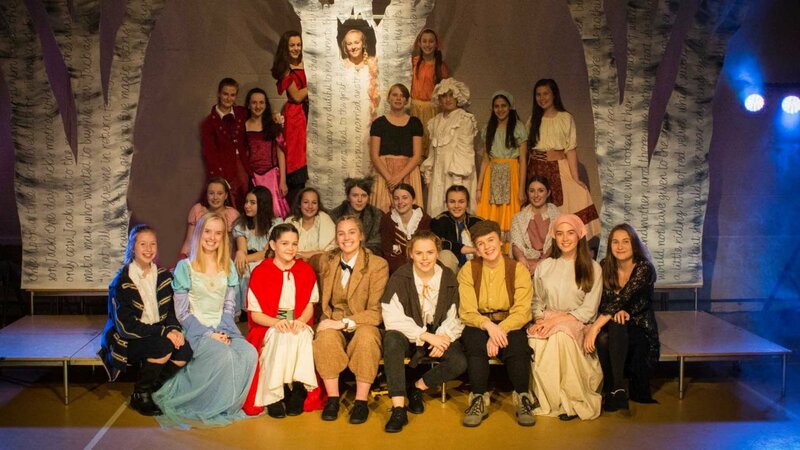 Students at The Kingsley School in Leamington Spa staged a production of ‘Into The Woods’ to packed out audiences and standing ovations last week. A cast of girls aged between 13 and 18 rose to the challenge of performing the notoriously difficult Stephen Sondheim musical, based on interweaving stories and consequences from The Brothers Grimm fairytales, after beginning rehearsals in September. The cast featured girls from all ages in lead roles, including Ellie Sinclair (17 from Leamington Spa) as the Baker, Georgie Green (15 from Warwick) as the Baker’s Wife, Katie Loudon (18 from Stratford-upon-Avon) as Cinderella and Amberqway Alford (13 from Warwick) as Little Red Riding Hood. The set was designed by GCSE Art student Olivia Allan. All the cast benefited from the experience of working with freelance director, teacher and co-founder of The Drama Club, Aaron Bixley, alongside Kingsley’s Head of Music and Musical Director, Julian Smith.